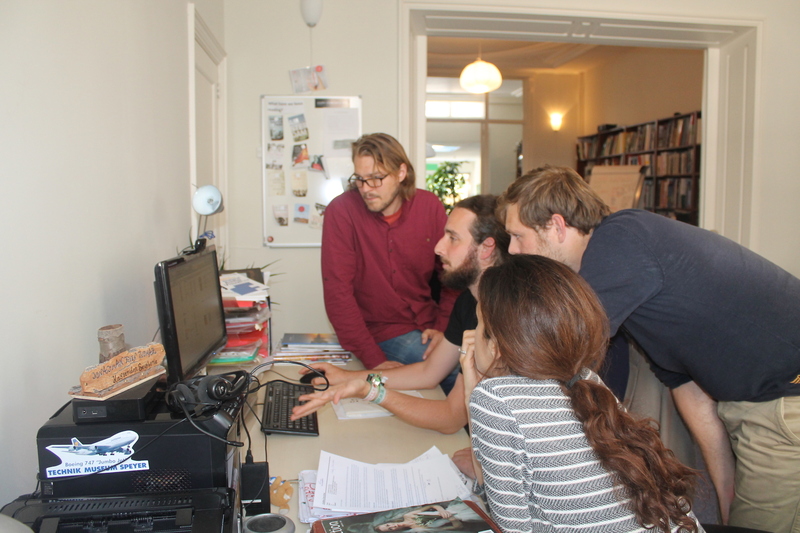 The EUROCLIO staff works out of the organisation’s secretariat, based in The Hague - International City of Peace and Justice. This office supports the association in delivering services to members, general assembly and board. It also implements projects and actions identified in the annual work programming according to the eight areas of work and the seven key issues. Project managers are responsible for a wide range of projects. 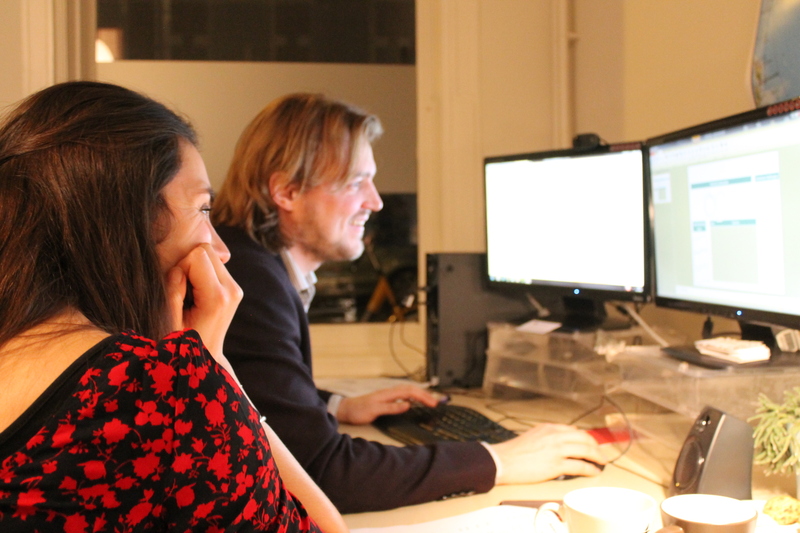 The programme director designs and oversees complementary actions. The Director has overall responsibility and fosters partnership development and advocacy. Due to the limited size of project grants, the staff works in a holistic and flat fashion. In doing so it maintains a slim and agile operation. 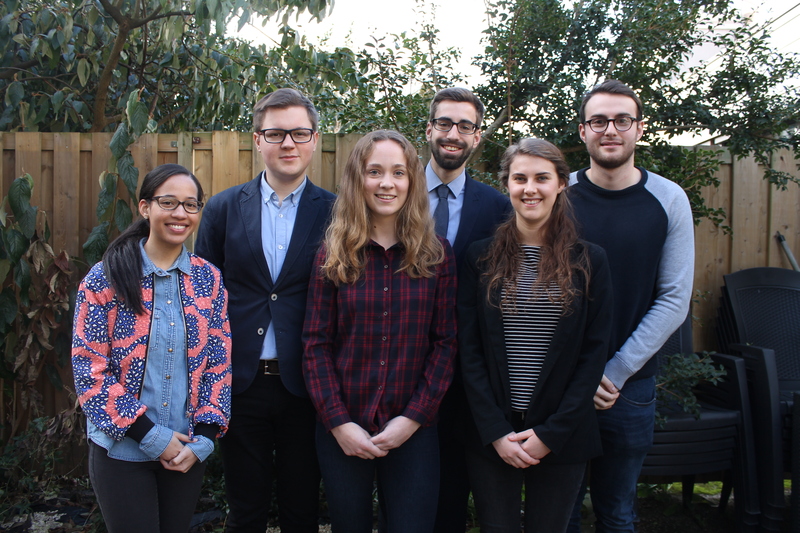 The secretariat offers traineeships to students from all over Europe and beyond and offers them real work experience in balancing responsibilities with opportunities for learning. Acting Executive Director Steven Stegers is Programme Director at EUROCLIO, where he has worked since 2006. In his time at EUROCLIO, he has focused predominantly on projects in which educational resources are being developed as part of a collaborative process. 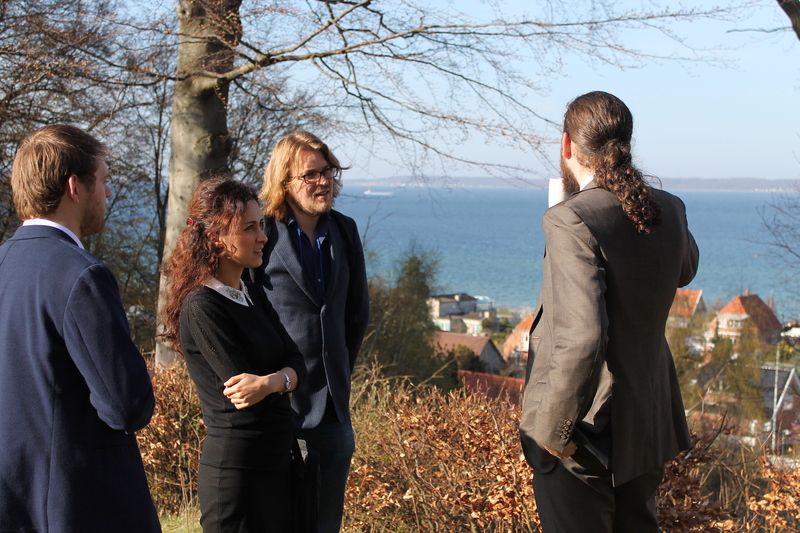 He has worked for several years as coordinator of projects seeking to innovate history, citizenship and cultural education in the Black Sea region, and North Africa and the Middle East. 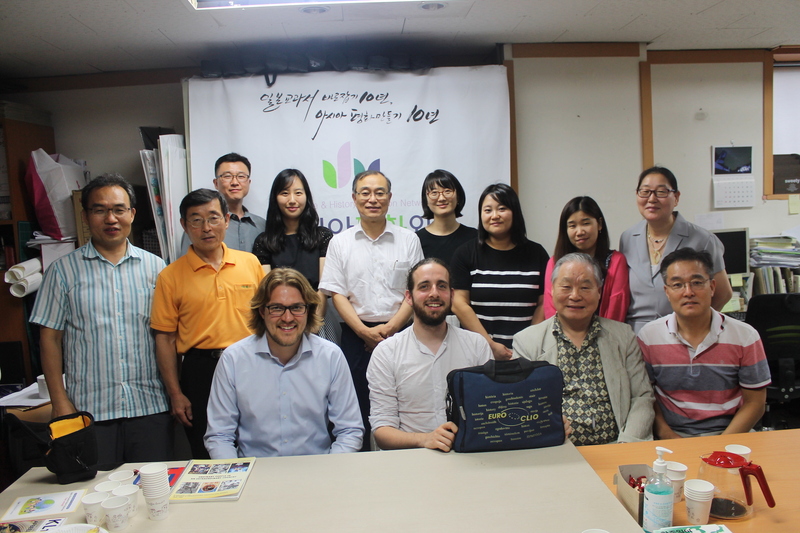 Steven led the development of Historiana – one of EUROCLIO’s flagship projects, and its first development of online educational resources. He is experienced in managing projects, public speaking, fundraising and advocacy, and has been involved as an expert for several intergovernmental organisations and the International Baccalaureate. 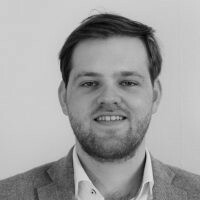 He has an MSc degree in Social and Organisational Psychology from Leiden University, and studied history including a honours class on Environment and Global History. His main interests are history, media literacy, design and cooking. He is married and lives in The Hague. Senior Project Manager Judith Geerling is Senior Project Manager at EUROCLIO, where she has been employed since 2013. She has been working on the online educational platform Historiana including several thematic projects, managed project teams working on inclusive education and history education projects and summer schools in the Western Balkan region in cooperation with member associations and partners. 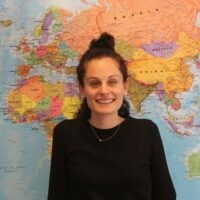 She has an MA in International Relations at the Rijksuniversiteit Groningen, the Netherlands, and an MA in Conflict Studies and Human Rights at the University of Utrecht, for which she did three months of fieldwork in Sierra Leone, Africa. Her area of expertise is conflict prevention and sustaining peace in conflict-affected regions and therefore she is very interested in the role history education can play in this. Network Coordinator Jaco Stoop is Network Coordinator at EUROCLIO. He has been working at the Association for about 3 years. He is responsible for managing outreach efforts, including communication channels such as this website, social media and the monthly newsletter. Besides that, he is responsible for membership as well as the management of several (global) projects, such as RETHINK and Learning to Disagree. Because of his academic background in Arabic language studies and the history of the Middle East, he is involved in projects that are situated in the Euro-Mediterranean region. 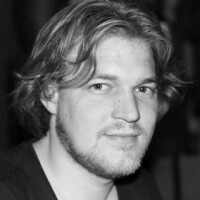 Jaco obtained a BA in Languages and Cultures of the Middle East, and holds an MA in Modern History and International Relations (both at University of Groningen). Junior Project Manager Alice Modena is Junior Project Manager at EUROCLIO, where she has been working since September 2018. She is involved in the organisation of events, especially of EUROCLIO Annual Conferences and online seminars, and in EUROCLIO projects dealing with European history and social inclusion. 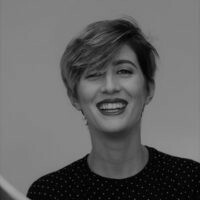 She comes from Italy, has a BA in International and Diplomatic Sciences, a MA in Human Rights and Multilevel Governance and a Master in Global Marketing, Communication, and Made in Italy. She is specially interested in the role of history education and intercultural competences as a means to promote social inclusion and human rights. TraineeAgatha Oostenbrug recently graduated from the Erasmus Mundus Master of “Euroculture: Society, politics and culture in a global context”. For this MA programme she spent a semester at the Rijksuniversiteit Groningen, the Palacký University Olomouc in the Czech Republic, and finally at IUPUI in Indianapolis, the United States. Her MA thesis entailed an analysis of the permanent exhibition of the House of European History. Prior to her Master, she completed a Bachelor degree in European Studies at the University of Amsterdam. She will be joining the EUROCLIO team from September 2018 until January 2019. 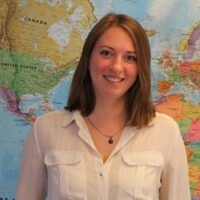 TraineeAntonia Gough is a recent graduate in European Studies from Maastricht University. Originally from the United Kingdom, Antonia has spent the last three years living and studying in the Netherlands. Her academic interests include issues such as transitional justice, memory studies and debates around the concept of a European identity. She will be joining the EUROCLIO team from September 2018 to January 2019, working mainly on the Remembrance Education for Thinking Critically (RETHINK) project, the History Education Beyond Borders project, fundraising and the writing of EUROCLIO’s annual report for 2018. TraineeCatalina Gaete is a Chilean journalist, recently graduated from the Erasmus Mundus program in Journalism, Media, and Globalization, a joint degree conferred by Aarhus University in Denmark and the University of Amsterdam in The Netherlands. Before coming to Europe, Catalina worked as an investigative journalist reporting on the Chilean Armed Forces, and their present-day relations with the legacies of Pinochet’s Dictatorship. Academically, she has been exploring the novel field of Media Memory, performing scientific research in different cases merging journalism and memory. 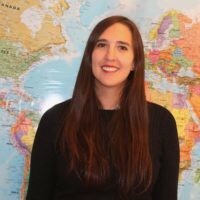 She has worked as a researcher for NGOs in Chile and Spain, and now she joined EUROCLIO and the Institute for Historical Justice and Reconciliation (IHJR) from September 2018 to February 2019. 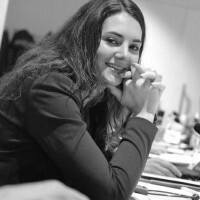 TraineeGiulia Rossi is a graduate in International Relations at Ca’ Foscari University of Venice. She has a strong interest in Asian history and culture, and holds a Bachelor’s degree in Linguistic and Cultural Mediation, with a special focus on India. 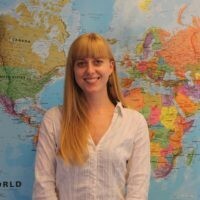 Before coming to EUROCLIO she spent several months volunteering in an educational project for an Italian NGO in Sri Lanka. She is a passionate believer in the potentiality of history teaching and innovative education tools, and she hopes to work in the field of education. She will assist on the projects “Learning to disagree”, “Opening up of Historiana” and “Europeana Digital Service Infrastructure phase 4” during her time at EUROCLIO. 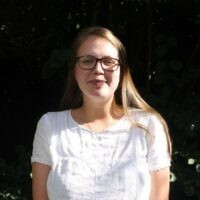 TraineeLisanne Veldt just graduated from her Masters Conflict Studies & Human Rights, at Utrecht University, and she will be joining EUROCLIO in the period of September 2018 until January 2019. She finished her Bachelor in Language and Culture Studies with her published thesis on local protests in Bosnia-Herzegovina in 2014. During her Masters she conducted field research in Ukraine on the role of Ukrainian volunteer battalions in the renegotiation of the Ukrainian state, where she was once again intrigued by the use of history in societies dealing with (post-)conflict dynamics. 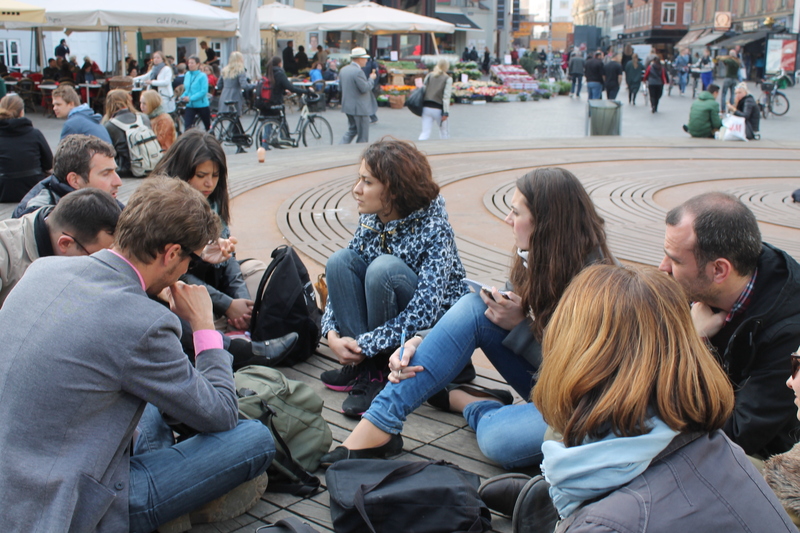 Within EUROCLIO she will mainly be involved in the projects ePACT and Football History for Social Inclusion, besides also assisting in the Contested History in Public Spaces project and fundraising activities.